She was found alone in the forest, unable to move. D'Yaria was probably terrified as she rode in the back of a pickup truck. 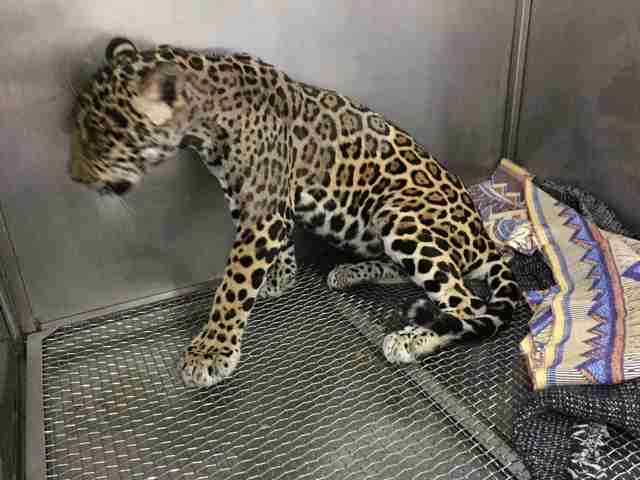 Not only had the 11-month-old jaguar been taken from her home in the Ecuadorian forest, she was also badly injured. 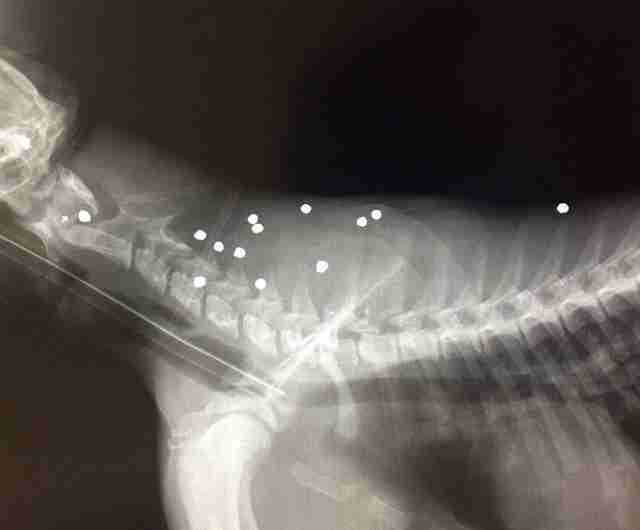 Last October, people had shot her several times - 18 shotgun pellets were lodged inside her tiny body. D'Yaria could move her head and neck a bit and she could definitely still growl, but the rest of her body had become paralyzed. Farmers in Shushufindi, Ecuador, had shot D'Yaria - at least that's what María Cristina Cely, a veterinarian with Darwin Animal Doctors, an organization that helps animals, believes happened. "This is an area where people have cattle, and jaguars are known for going into farms and killing cattle, so what the locals do is just kill the jaguars to preserve the cattle," Cely told The Dodo. "It's very sad." Cely believes that D'Yaria's mom was shot too, and killed. Otherwise, she'd still be with her baby. After being shot, D'Yaria probably ran into the forest until she couldn't run anymore. Then she collapsed. She might have felt safe there for a while, but D'Yaria was in bad shape. "If she had not been found and she had not been treated, she would have not survived," Cely said. "She was paralyzed and she would not have been able to drink water and not be able to hunt or find food for herself." Luckily for D'Yaria, help quickly came. 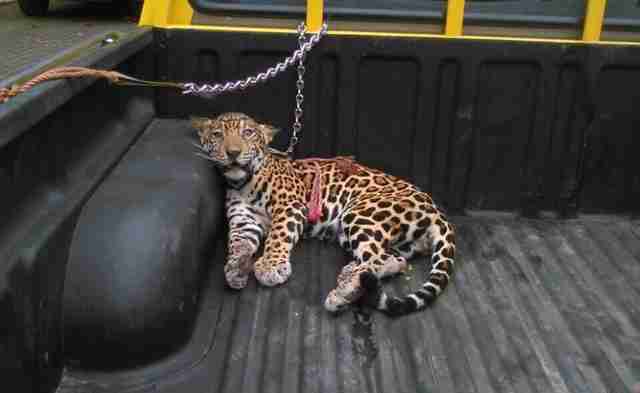 Local people walking through the forest found her, and they figured out exactly what to do - they loaded the jaguar onto the back of a pickup truck, and transported her to an animal hospital at the Universidad San Francisco de Quito in Ecuador's capital, which was a five-hour drive away. When D'Yaria arrived at the hospital, a vet team led by Dr. Andrés Ortega worried that D'Yaria wouldn't make it - she was just too badly injured. If she pulled through, they didn't think she'd ever walk again. Despite the odds being stacked against D'Yaria, the vet team tried their best. 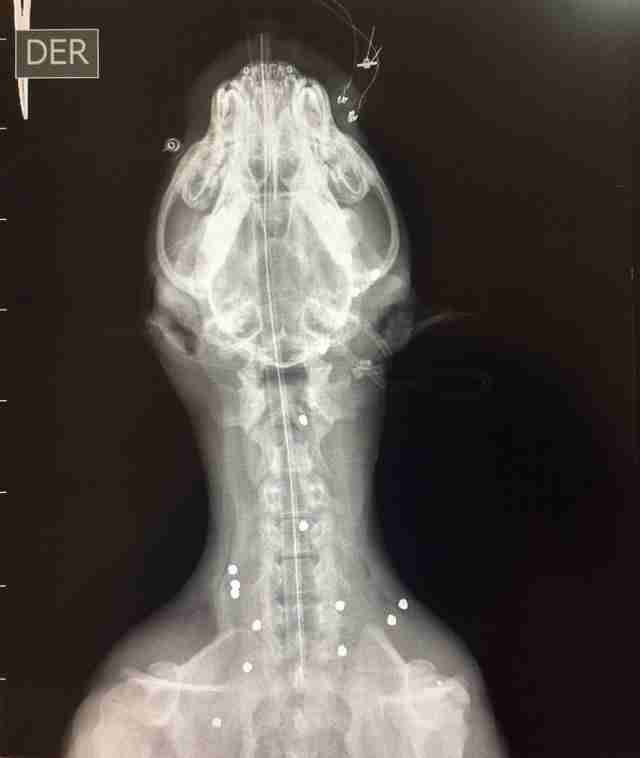 "She needed two main surgeries to remove the pellets and the areas that were damaged in her spine," Cely said. "That damage was able to be fixed by removing the little cushion between the two vertebrae in the neck." 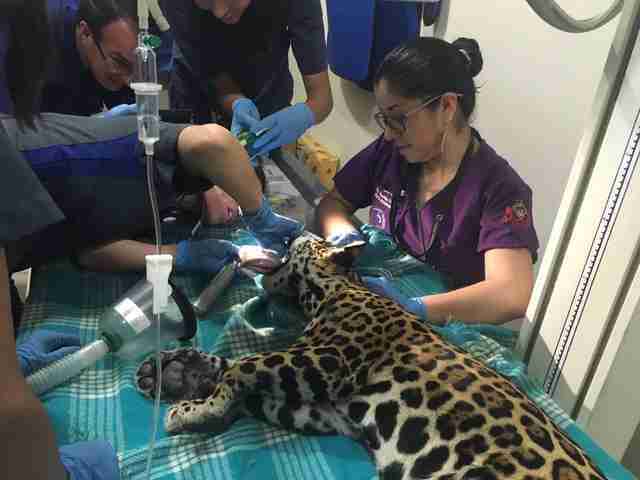 After the surgeries, the vet team watched D'Yaria carefully. When they noticed that she was able to move her legs, they knew she was going to be OK.
"She stood up and she started showing signs that she would not stay still, and that's when everyone realized that she was going to make it," Cely said. Each day, D'Yaria got a little stronger. 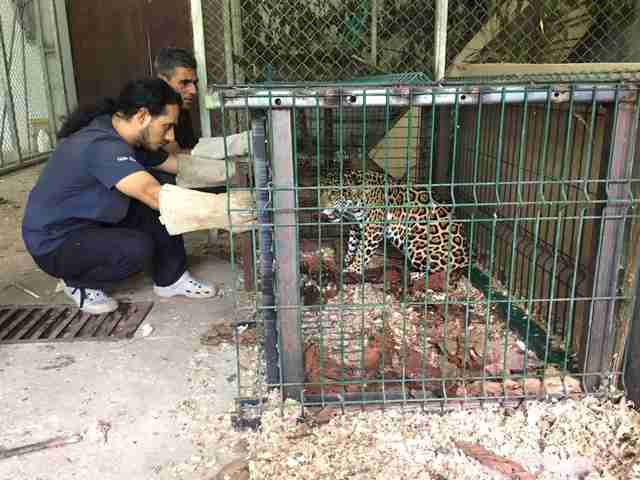 While her injuries healed, she had to stay in a small cage at the vet hospital. But the staff kept her entertained by giving her shredded paper, which she had fun playing in, according to Cely. 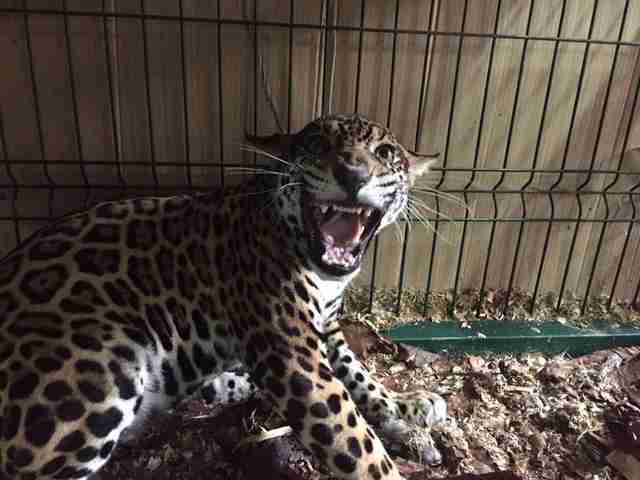 After about a month, D'Yaria was moved to a large outdoor enclosure at a nature park in Lago Agrio, Ecuador. "At this point, she's 95 percent recovered and she runs around," Cely said. "She's running like it's the last day of her life." 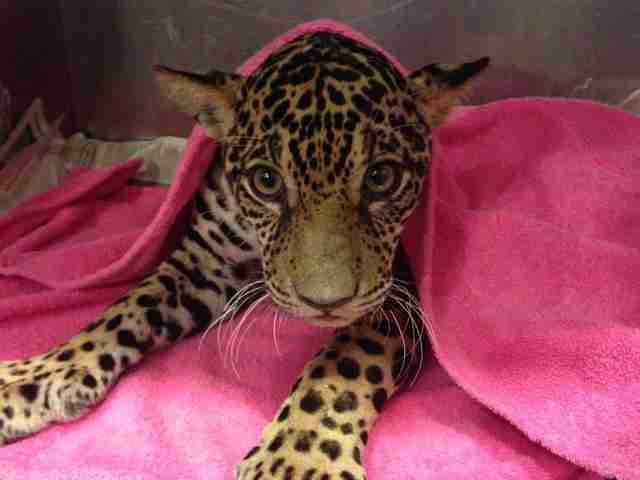 The vet team is certain that D'Yaria will be able to be released back into the wild. This is good news for D'Yaria, but also good news for her species, which is currently listed as "near threatened" on the IUCN Red List for Threatened Species. In anticipation of D'Yaria's release, the team has been careful not to get her used to people. "Her contact with humans will be very controlled in the way that she does not recognize a human as a benefactor or as a carer," Cely said. "In fact, during her time in the hospital, she hated humans. She would growl every time she got checkups." 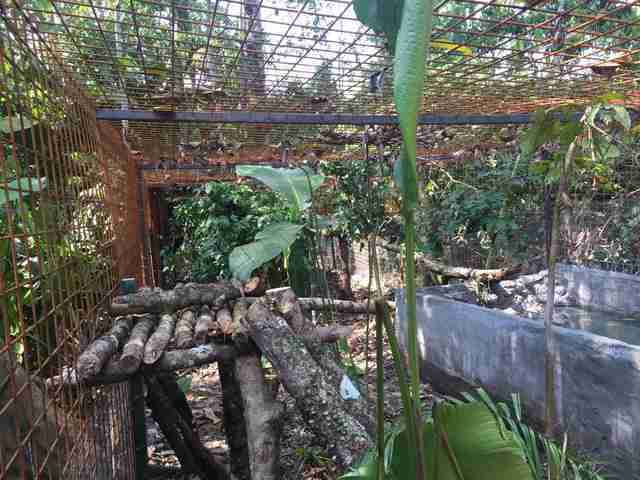 "Now, at the enclosure in the jungle, every time somebody gets close, she throws herself against the cage and pretends she's going to attack that person," Cely added. "This is a very good sign." "D'Yaria means brave tiger, and that's what she's shown," Cely said. "She's everything that her name says. 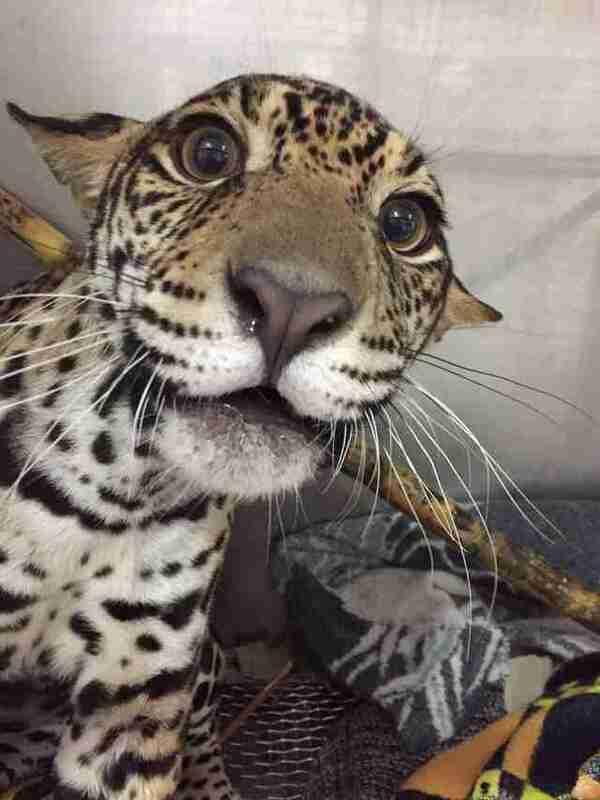 She's a very brave little jaguar. She fought all the way. 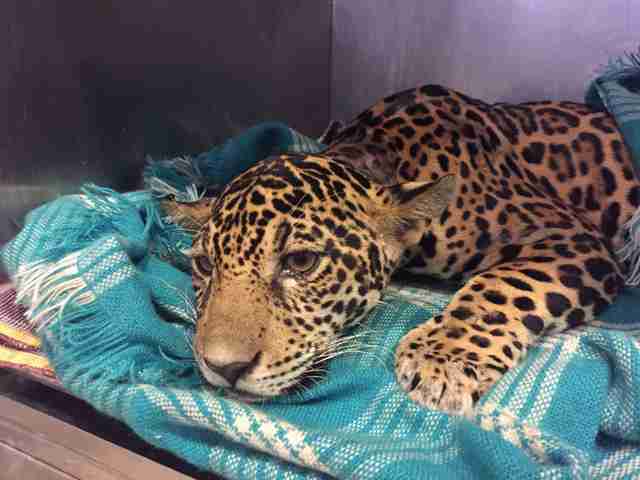 The team has a lot of hope that she was recover 100 percent, and that she will be set free. 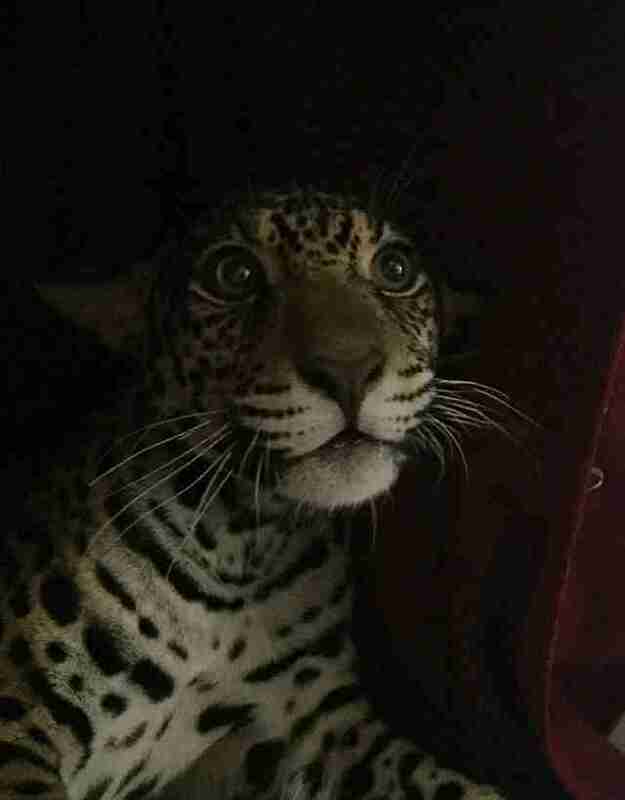 And everyone is looking forward to seeing her grow up and being a full-grown jaguar and having little jaguars." 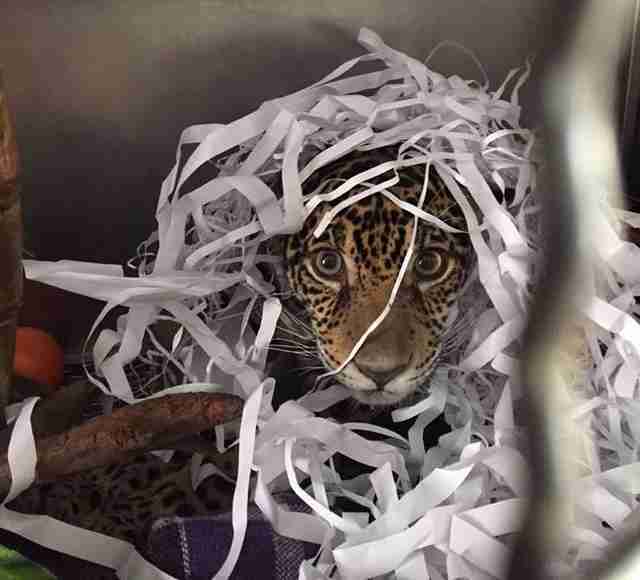 D'Yaria will eventually be released in the Tiputini Biodiversity Station, and she'll be fitted with a special radio collar to help keep her safe. To help fund this tracking collar, you can make a donation via Darwin Animal Doctors.